The very first verse of Galatians shows us that Paul was an apostle not of men, but of the Lord Jesus Christ and God the Father who was more concerned in pleasing God than men. 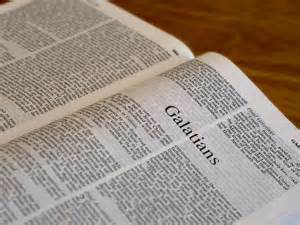 (Galatians 1:10-12). Even we today who serve Christ are as Paul in which we serve God in obedience as we are moved by the same Spirit as he did. Remember before Christ left he said we would do as he did and even more because he was going to the Father! (1 Peter 3:15-17). But sanctify the Lord God in your hearts: and be ready always to give an answer to every man that asketh you a reason of the hope that is in you with meekness and fear: Having a good conscience; that, whereas they speak evil of you, as of evildoers, they may be ashamed that falsely accuse your good conversation in Christ. For it is better, if the will of God be so, that ye suffer for well doing, than for evil doing.